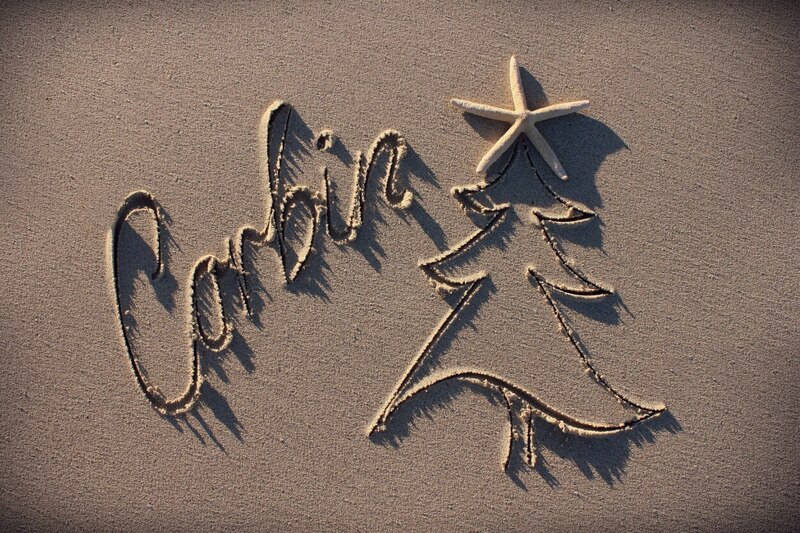 "Corbin! Corbin, stay here with your daddy!" The words bounced and echoed through my head today as I heard them shouted through the room. There I was, in a small entryway surrounded by 40-50 people and children, waiting to enter the "Easter Bash". I had my camera in one hand and my sunglasses in the other. My three year old was laying on the floor, pretending to be a frog. My husband was talking about how he wished he hadn't have gotten his boots all muddy before we left. To my right is my pregnant friend and her daughter. "Corbin! You have to hold your daddy's hand when you go in, or you might get run over." Please stop talking. Please stop saying that name. That name. I normally never hear it called out from another parent. I remember the first time I ever heard it called out. I was swimming with my best friend, her husband, daughter, and Monkey about two years ago. There was a grandmother there with her family and she called for her grandson. It was so emotional for me, I had to go over and talk to them. I started out by saying my son's name was also Corbin and how I never meet other kids with the name. They, of course, asked how old he was. I stumbled over my words as I explained my story. She gave me "the eyes". You know, the eyes of pity. Then she went on to explain that her Corbin was born premature and struggled at first after birth. We chatted a short while before I went my way. It has been years since I have heard that name and it is just as shocking now as it was then. I couldn't stop watching that little boy; wondering if he was healthy, wondering if he was just small for his age or if he struggled after birth as well. It seems I was meant to see him, as we saw him again at the grocery store, immediately after the Easter event. I didn't approach the parents, I just watched him. Corbin. What a nice name. I just met a little baby at the park named Aiden. He is 7 months old and as I was talking to the mother I found out he was screened with pulse ox at the hospital where Corbin was born. And get this. The mom said they had just started the screening the week before. I didn't say anything else. I just watched that precious blue eyed, heart healthy baby swing and I smiled. International Women's Day- What are you proud of? March 8th is International Women's Day. A day for women all around the world to stand up and proudly say "I am a woman and this is what I've accomplished." International Women's Day (8 March) is a global day celebrating the economic, political and social achievements of women past, present and future. In some places like China, Russia, Vietnam and Bulgaria, International Women's Day is a national holiday. Annually on 8 March, thousands of events are held throughout the world to inspire women and celebrate achievements. A global web of rich and diverse local activity connects women from all around the world ranging from political rallies, business conferences, government activities and networking events through to local women's craft markets, theatric performances, fashion parades and more. I think this is a wonderful movement, that we all need to be a part of, proudly. As a fellow blogger said, "most importantly women need to help other women." I could not agree more. I have witnessed and been apart of the "wars". We all need to STOP fighting for power, STOP being greedy, STOP being possessive , STOP yelling "mine", and START sharing, working together, and be a TEAM. We could accomplish world's more if we just took a step back and realize that we don't "own" a certain niche or cause; we are working towards the same goal and have the same powerful and unstoppable motivation. WE ARE IN THIS TOGETHER. We have the SAME CAUSE. We are stronger TOGETHER. I am proud of Corbin's Law, of Corbin's life, of what I have helped accomplish and accomplished on my own. I'm proud that women come to me, asking about pulse ox and sharing CHD information. I'm proud of my son and what he has inspired me to do. I AM PROUD OF MY CAUSE, MY WORK, MY LIFE, AND MY FAMILY. Now it's your turn girls: what are YOU proud of? This is a post for Global Team of 200, a highly specialized group of members of Mom Bloggers for Social Good that concentrates on issues involving women and girls, children, world hunger and maternal health. I admit, I used that word myself two years ago. I never gave a second thought as to how it can affect someone, or the impact it has daily on thousands of people a day. But I sure as heck do now. Sadly, I've seen some friends online use that word. It really does not sit well with me. Sometimes I don't say anything, but I have gotten better about speaking up without being hateful. I saw it used within "normal" conversation, to show how dumb the writer felt. My response: "Dumb, stupid, embarrassed, silly; any of these words you could have used instead of THAT." I never heard a response. I don't say that to be mean or condescending. I say it to hopefully open the eyes of the person who used it, to the many, many possible words they could have used instead. In 2003, the Black Eyed Peas released their Elephunk album. I bought it and I liked it. I even like the song titled “Let’s Get Retarded.” It was fun, it was catchy and it had a great dance beat. There was a lot of controversy surrounding that song and the band changed the name and the lyrics to “Let’s Get It Started.” People were upset because they felt it was offensive to people with intellectual disabilities. I didn’t get it. I thought they were ridiculous, overly PC and getting offended where no offense was intended. It was just a word after all. Then my second child Reed was born in 2009 and eventually diagnosed with Williams syndrome (WS). WS is a rare genetic condition characterized by congenital heart defects, heart disease, kidney problems, gastrointestinal problems, musculoskeletal issues, sensory processing disorder, developmental delay, an (amazingly beautiful) overly social personality, an affinity for music and yes, intellectual disability ranging from mild to severe. I had a violently emotional reaction. I knew that she didn’t intend to hurt my feelings and she certainly wasn’t saying my child was retarded but the full meaning of the word hit me like a brick wall. 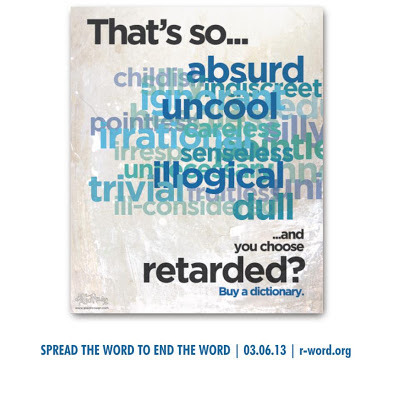 STOP using the r-word or engaging in activities that could be considered disparaging to individuals with intellectual and developmental disabilities and insist that others do the same. In any context at any time - even out of my range of hearing. I don't care if you are joking. I don't care if you didn't mean it "like that." It is not funny. It is not cute. It is not just a figure of speech. It is not just a joke. It is not just about being politically correct. The r-word is rooted in history as a negative reference to wonderful, beautiful people that may not be able to stand up for themselves. The word is hurtful and hateful. Plain and simple. I still believe those words but I have since realized that my delivery was off. I was speaking out of hurt and frustration and I was preaching to the choir. I wasn’t going to change anyone’s mind by going on the attack and calling them a bully. I don’t really think that most people that use that word in conversation, or write it in comments, or share pictures on facebook/twitter/whatever believe that they are hurting anyone. But it does hurt. Reed will quite possibly be given medical label “mentally retarded” when he is older and he is anything but stupid, dumb, ridiculous, slow, messed up, idiotic, high or worthless. He is loving, charismatic, affectionate and yes, he is smart. Very smart. He has learned to work around his limitations to find things that his peers can do naturally. He works very hard to find creative ways to achieve things that come so easily to others. So you can see how that word in today’s contextual context really is offensive and hurts others even though that may not be your intention. I challenge you to really think about what you are saying and say what you mean. If you think a show on TV is stupid, say that. If you think you are dumb because you forgot to buy milk at the store, say that. If you think your spouse is being ridiculous, say that. But please stop using the r-word. Because when you do, you are equating amazing individuals with a medical diagnosis to something or someone that you see in a really negative light. 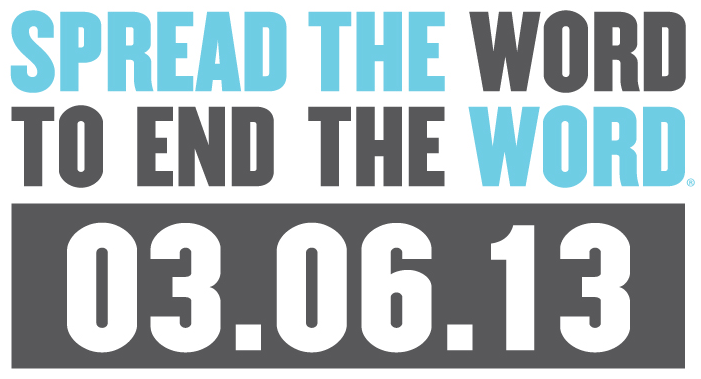 May 6 is Spread the Word to End the Word day and I encourage you to take the pledge with me to remove the word from your vocabulary. Please visit www.r-word.org today to learn more. Also, you can learn more about my son Reed’s diagnosis and so many others like him by visiting www.williams-syndrome.org. So again I ask you: how does that word make you feel? Pledge to end the word here. You can also follow them on YouTube.